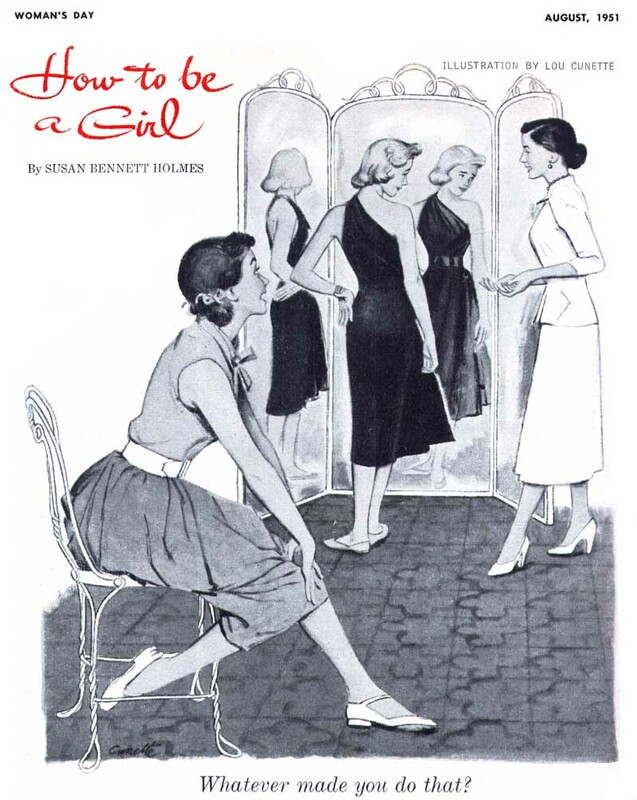 Today's Inspiration: Lou Cunette: A Style to Satisfy Every Artistic Appetite! Lou Cunette: A Style to Satisfy Every Artistic Appetite! 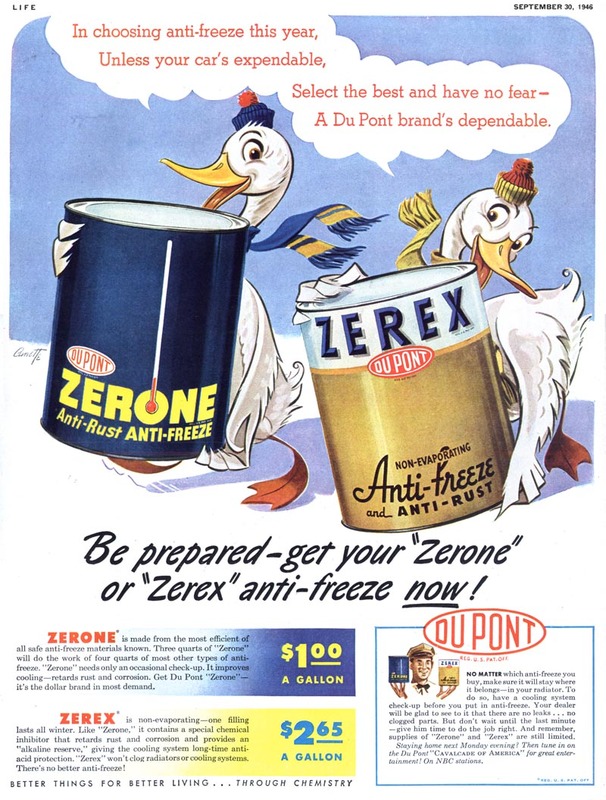 The September 1946 issue of Life magazine includes this ad for Du Pont anti-freeze, illustrated by a talented cartoonist named Lou Cunette. Whoops! Sorry, did I say "cartoonist"? 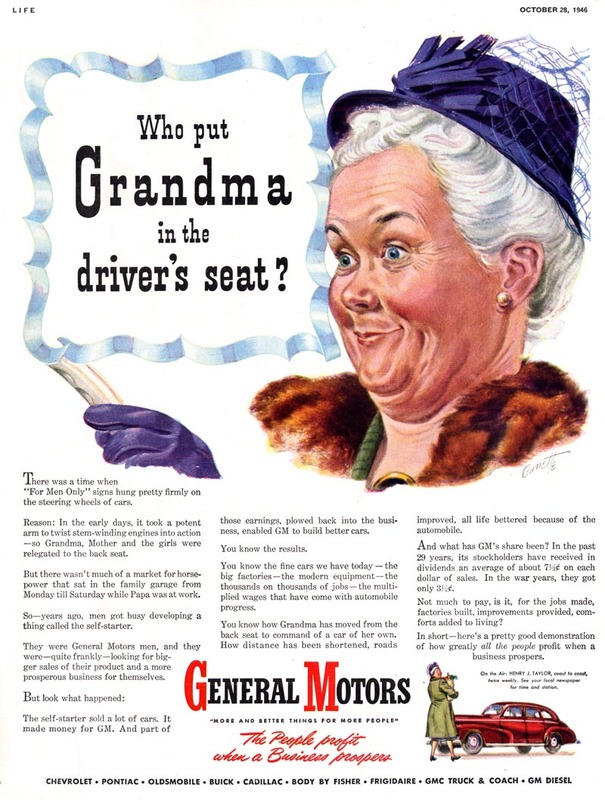 Er... the October '46 issue of Life magazine contains an ad for General Motors, nicely painted in an almost Albert Dorne-ish style by an illustrator named Lou Cunette. 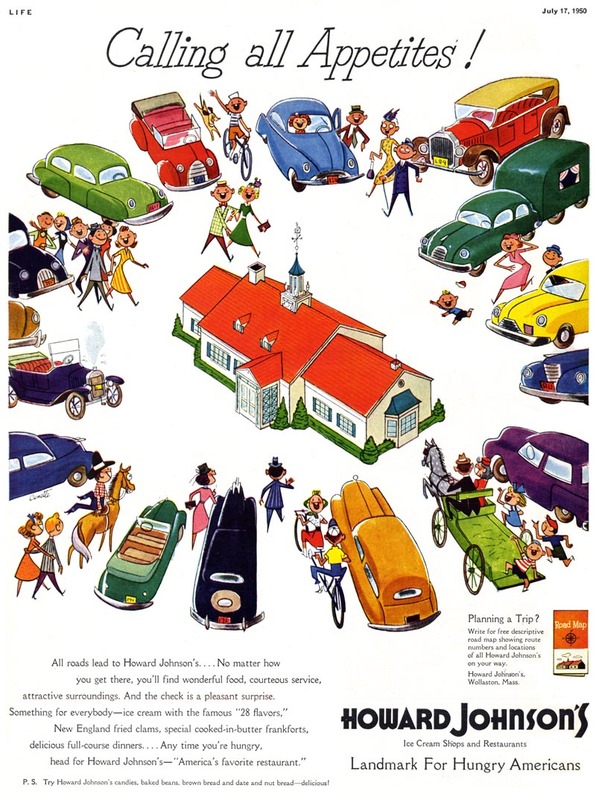 Waitaminut... the August 1950 issue of Life magazine sports an ad for Howard Johnson's by a cartoonist - definitely a cartoonist - named Lou Cunette. Except in a completely different cartoon style. 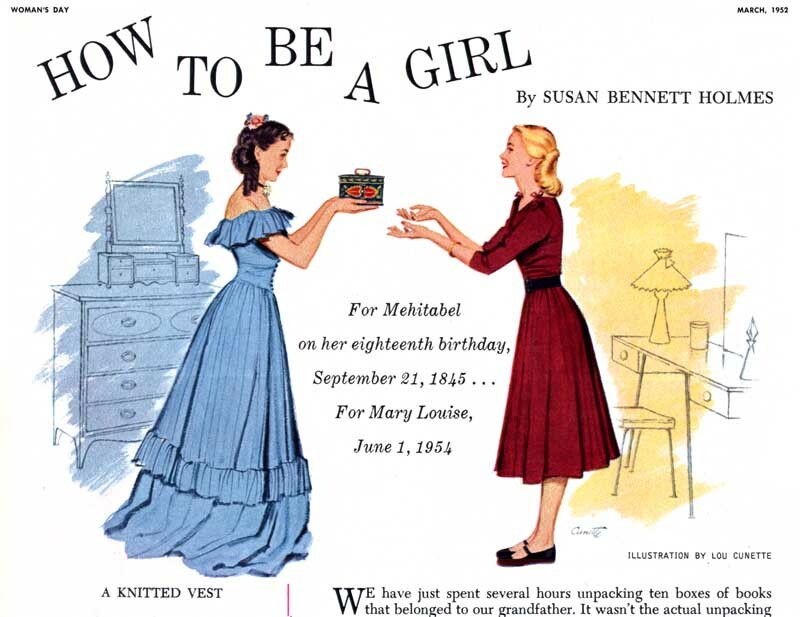 The next year, 1952, in a style very typical of contemporary magazine illustration of the day, someone named Lou Cunette did a run of illustrations for the Woman's Day column, "How to Be a Girl". They look like they could have been done by a Cooper studio artist. So just who the heck was this Lou Cunette? He was an illustrator who could produce a style for every artistic appetite. Beyond that, I haven't a clue. But I feel a great affinity for Mr. Cunette. 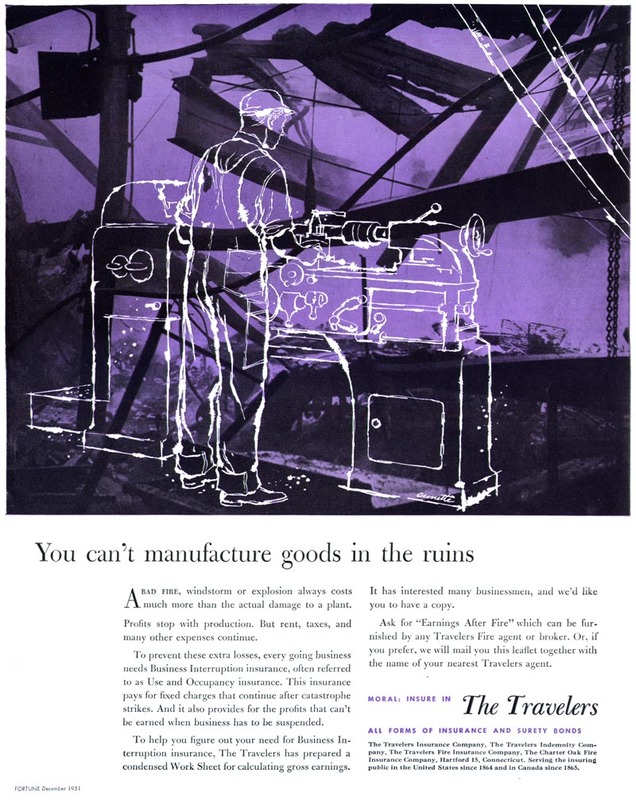 I don't know if he was a 'restless illustrator' who couldn't settle into one style, who enjoyed dabbling in a little of everything, or a Jack-of-all-trades ( and some might argue, "a master of none" ). But that would be unfair, because Cunette's skills are evident. I suspect perhaps it was a little of both. Some illustrators don't enjoy careers with a definitive focus... but that's not to say they don't enjoy fulfilling careers. If the day ever comes when someone who knew Lou Cunette finds this post, I'm sure we'll learn about his other accomplishments. And I'll bet we'll discover that Lou Cunette didn't just satisfy the artistic appetites of his clients, but he satisfied his own as well. * My Lou Cunette Flickr set. Thanks, Leif. Never heard of the artist, either....and the variety of work and ads didn't add to recognition. But he was very competent....and maybe it shows that in those years, in order to stay busy, he chose a whole gamut of illustrative styles. Speaking from experience, it sure made work a lot more fun. I had a lot of variety, more in mediums and use of the illustrations, but definitely it kept an artist on his toes. Never heard of him either. Diverse styles is not somthing I'de associate with the 50's when there seemed to be enough work around to pursue one style, but more with the 80's when illustrators were trying to grab what little work there was. In my formative years in the 80's, I'de do anything in any style or medium to make ends meet, generally to the detriment of the eventual piece. 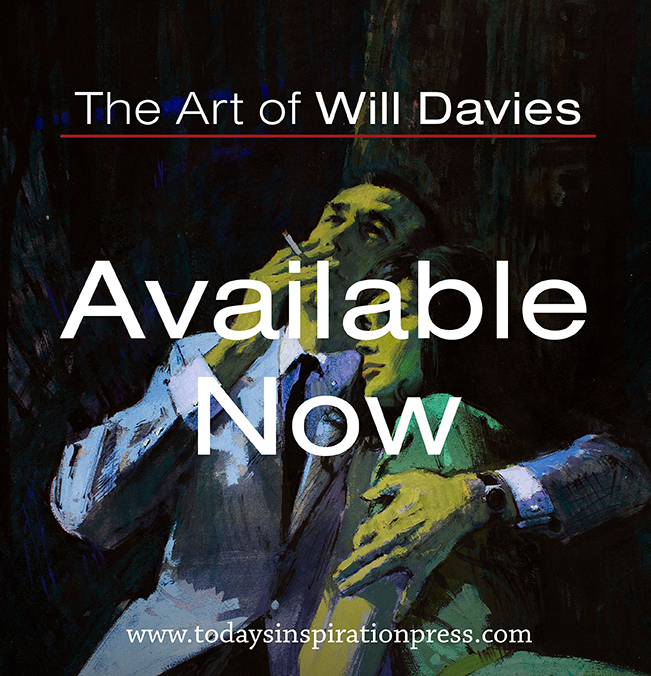 I was seldom happy with the illustrations, mainly because I just didn't have enough time to explore the stylistic possibilities of the medium, coupled with the fact that I was comparing myself to recognised masters of the style. Still, there are a few I'm fairly pleased with looking back. Cunette seemed to have the ability to create decent work in whatever style he chose, but I'de guess he never really felt he'd achieved his potential because of it. I'm fascinated by both your responses, Charlie and Roger. Charlie talks about variety making work a lot of fun... Roger speaks about his frustration at not having had enough of a chance to really explorethe possibilities of some of those various styles and assumes Cunette must have also felt frustrated. But I don't agree. As it happens I was just interviewed for an illustration podcast yesterday and spoke at length on the subject of 'the restless illustrator'. I wrote in yesterday's post that I feel an affinity for Lou Cunette's situation - and I was speaking from my own career experience. I'm very happy to have worked in a great variety of styles - in fact, some clients look to me to provide any style they need and I'm pleased to be able to deliver it on demand. Maybe its my ADD, but I have no interest in pursuing one style for a lifetime. Each new style is a new opportunity to challenge myself and explore... and after a time or two I grow bored of that one and I'm ready to try something new. I hope (and wouldn't be surprised to learn) that Lou Cunette felt the same way. Very interesting stuff both visually and with the comments expressed. I tend to agree with the joy of exploration theory and am reminded of animator Ward Kimball. Not only was he a great draftsman, he was a fine painter too. Ward could paint tight representational paintings and abstracted stylized works all beautifully. To him it was just fun. Louis Cunette was my grandfather. He was a very talented artist whose work can be found in books and magazines. 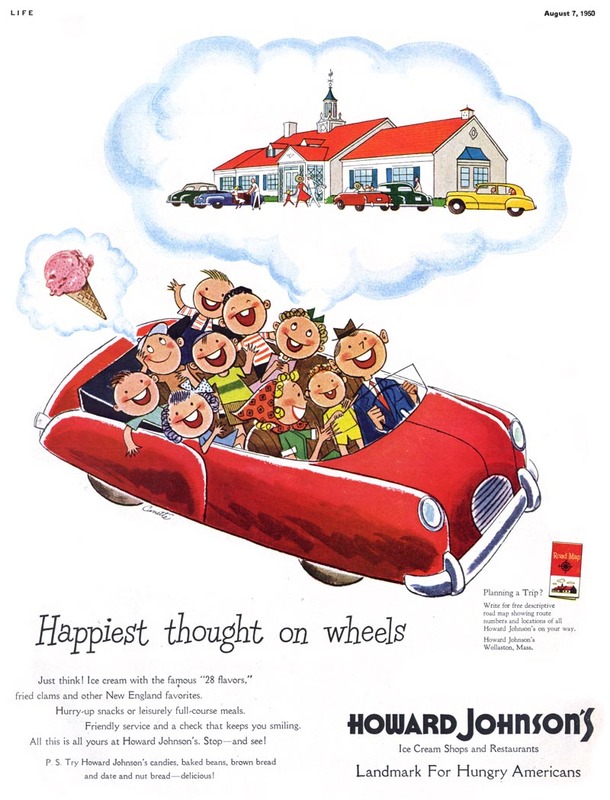 He also was an illustrator for Walt Disney until he passed in 1993. To anonymous Lou Cunette was my grandfather. I am interested in knowing who you are. He illustrated the children's book Bugs Bunny Goes to the Dentist.